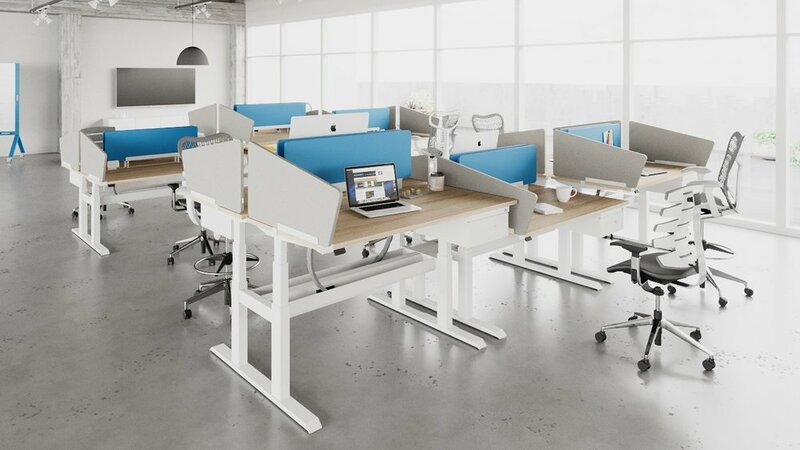 WiiRise is a height-adjustable sit-stand desk system that combines the healthy benefits of adjustable height workstations with the space efficiency of a benching system. 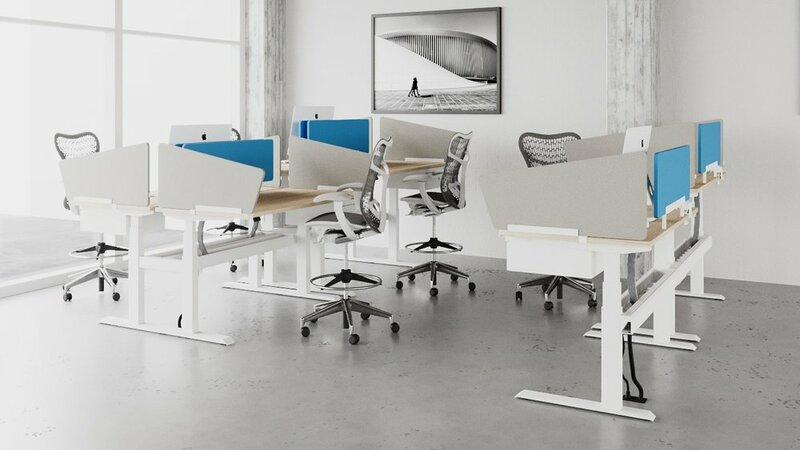 Users are able to independently adjust their work surface from seated height to standing height with push of a button. Individual Controls in a team work environment. 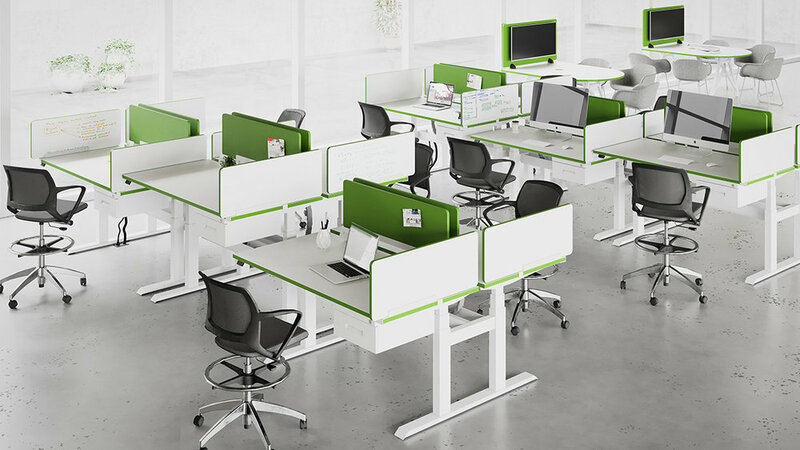 Single in-line adjustable height workstations are scaleable to plan efficient benching layouts. 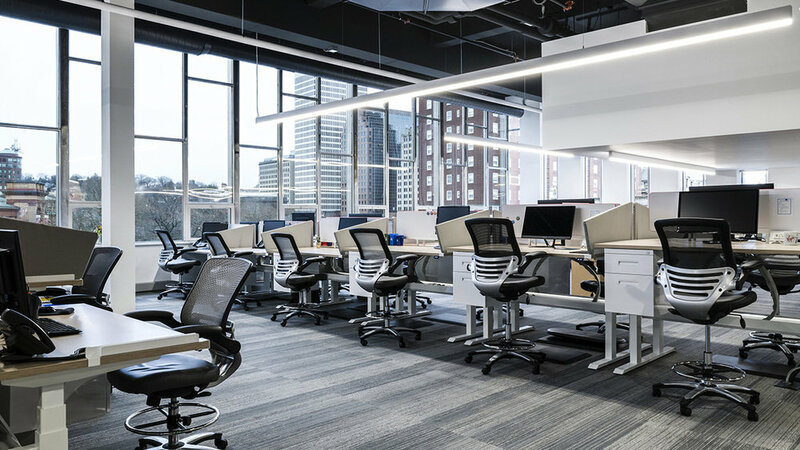 A single row of workstations can be standalone or can link together offering expandable planning opportunities for a fully integrated collaborative environment. 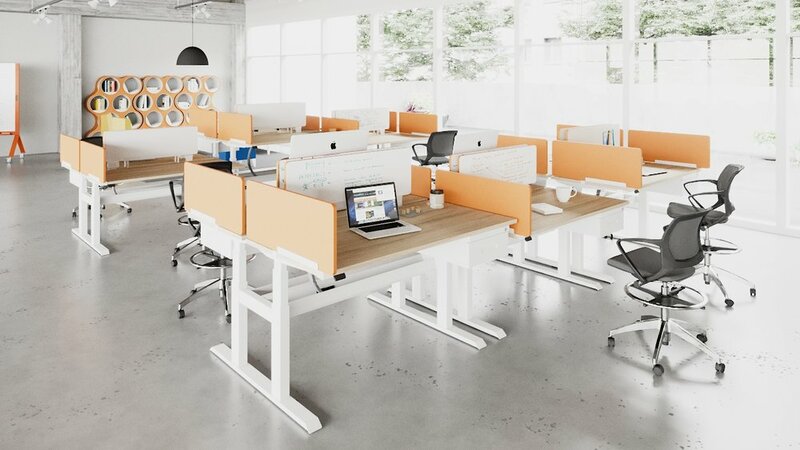 Dual Tables offer an expandable adjustable height workstation configuration to plan dynamic benching solutions . 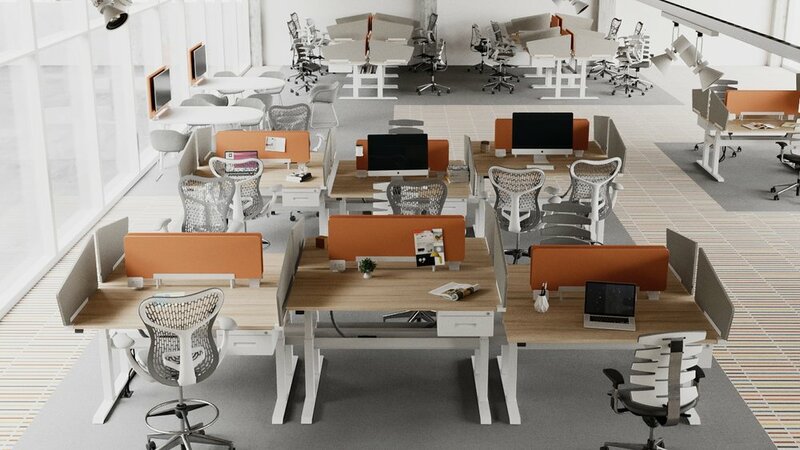 Back-to-back workstations can be standalone or link together with fully integrated electrical power and data solutions. Rigorous testing and quality standards assure reliability so you can keep working.